Did you know what is Android? If you are a beginner you can start here, if you have notions about programming and android you check here out. I would say Android is not only a Operating System for mobile devices, but with many frameworks and applications involved in it, we could call it a software stack. This Stack is composed by Frameworks, applications (e.g: Browser, Caller, games, etc), Virtual Machine (The Dalvik), mobile devices features (Camera, 3G, EDGE, Touch Screen, GSM or CDMA TEchnology, bluetooth, Wifi, GPS, accelerometer, etc) and in addition a development kit for developers. The SDK for developing and debugging . And the great point in all of this, it is free. An OPEN DEVELOPMENT PLATFORM. IF you want to start in android world you will need 4 basic things. 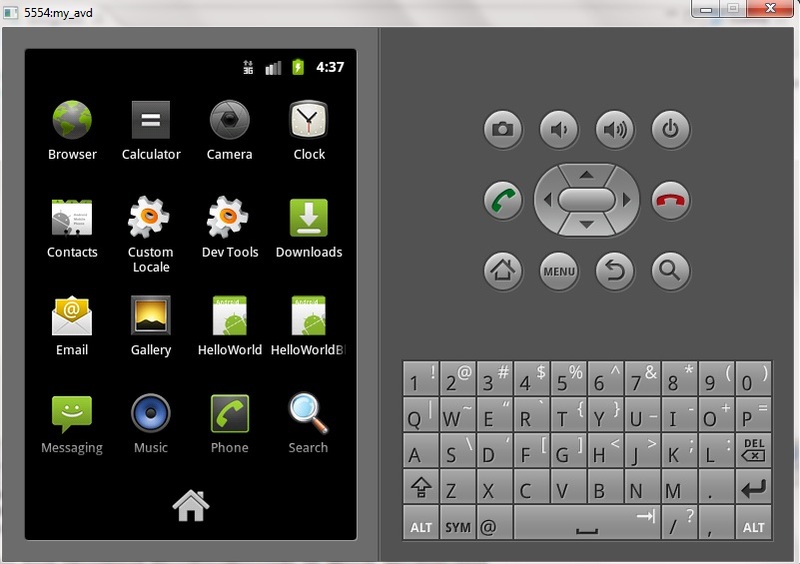 Eclipse IDE, where you are going to develop android apps, your own apps. 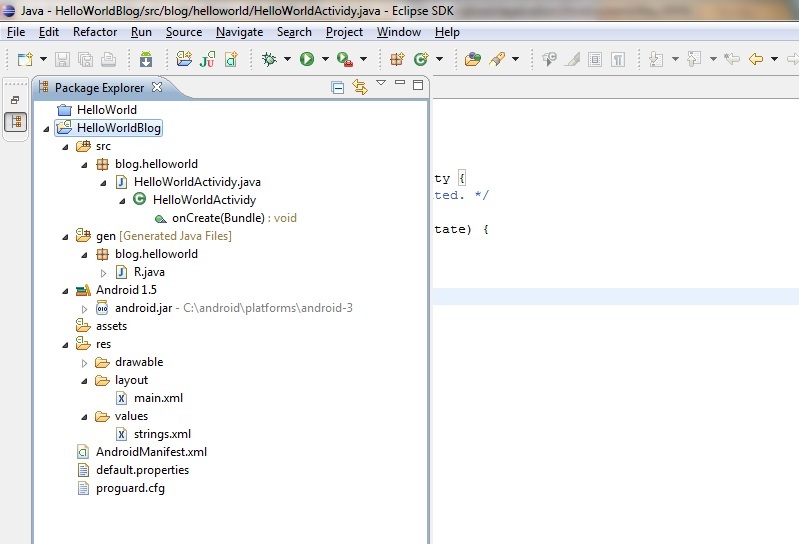 Sun’s Java Development Kit, The JDK. 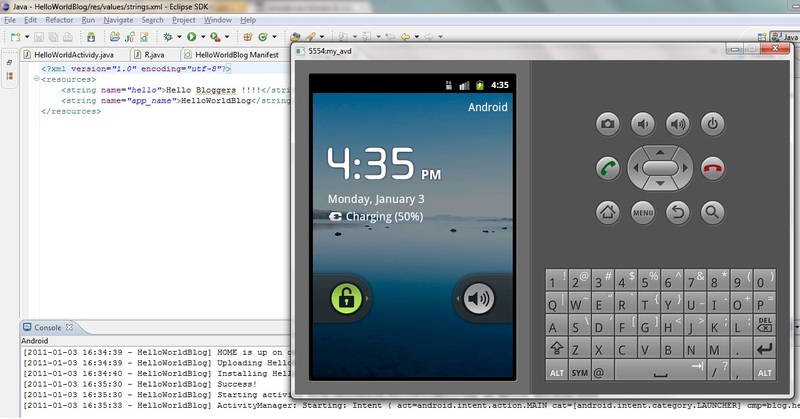 The Android Software Developer’s Kit (SDK) and the Android developer tool (ADT), the plugin for eclipse (this last one you can download and install by eclipse). First, Download All those 3 software. Then Install the JDK (whether you do not have it installed). 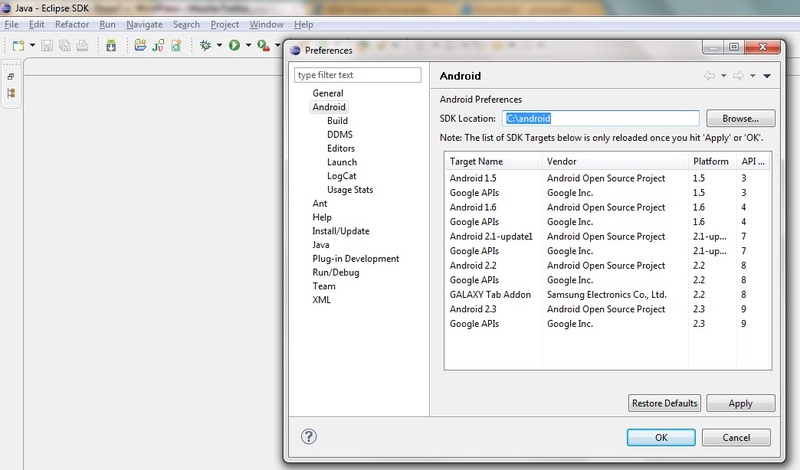 Download Eclipse and the Android SDK. If you running on Windows both are going to be zip files. 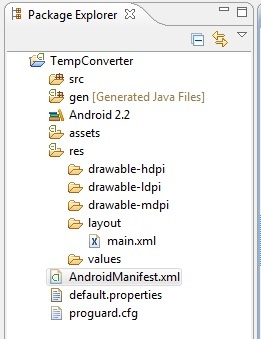 Extract them separated, each one in its folder for example: C:\eclipse and C:\android. It is just up to you. 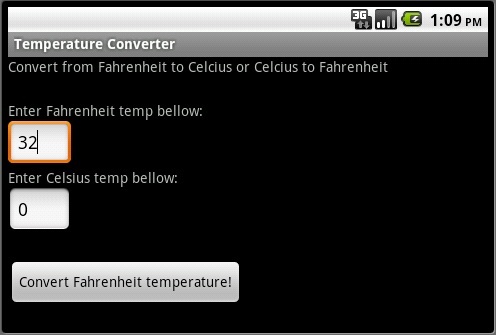 One step for windows, you have to edit your Enviromnet Variables and add the C:\android\tools to it. How? simple. Right click on My Computer and go to properties. 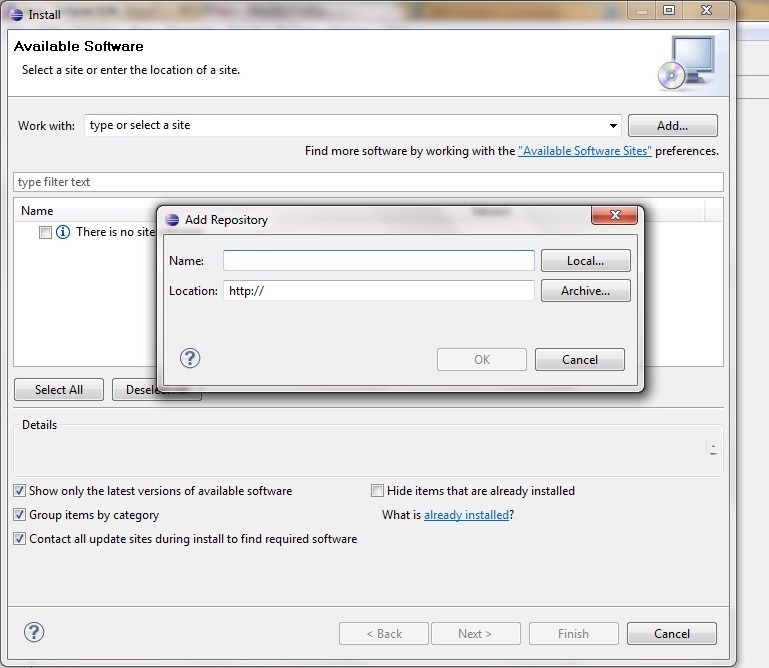 There find the System Properties and then Advanced System settings (or in WinXP just the tab Advanced). The in the second box you look for a variable called path. Click on it and edit it. 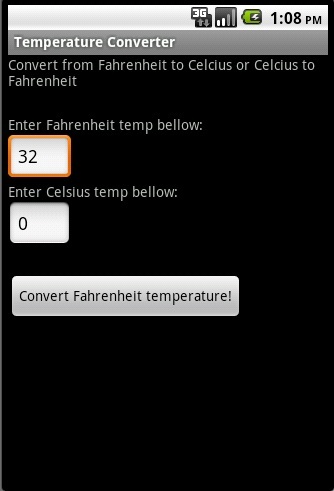 In the end add the address of android tools. If you have followed my example would be C:\android\tools . This is necessary to make it easier to launch Android tools. Ok. Time to start Eclipse. Just open it. In the Locations you can type: https://dl-ssl.google.com/android/eclipse . Click OK. The Developer tools will appear. check check it and click on NEXT. You have to accept the terms of the license and then click Finish. 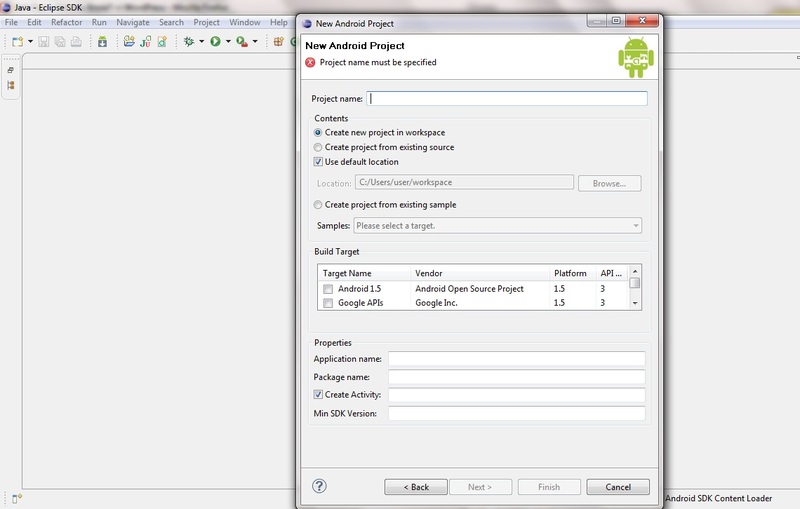 Here you have to add the Android path to eclipse recognize the android API. When you do that you already can start a New Android Project. But when I do a application I should see a cellphone screen and see my application running in it, right? yeah. So, is it already set up? Let’s check if everything is ok! 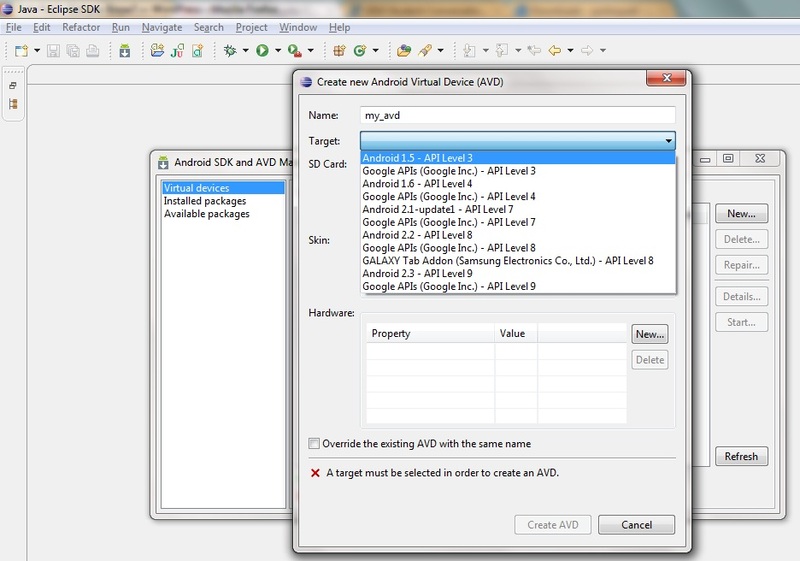 Go to Window -> Android SDK and AVD Manager ; Here you will see the packges and the Virtual Device (what would be the cellphone). First Check the packges. If they are not installed, check them and just click install. 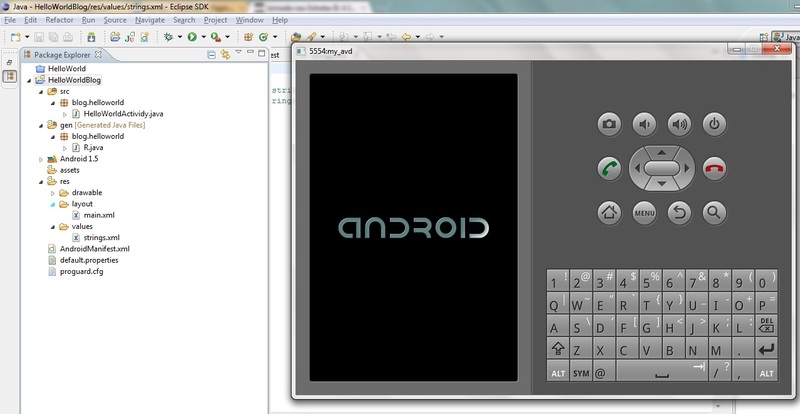 After that Go back to the Virtual Devices to create a new AVD (Android Virtual Device). Click New. Then type the name of the AVD, I suggest ” my_avd”. You have to choose a target. The target is the API that you are going to use in your AVD. We could see as Android versions. Select the version that you want and click “Create AVD”. 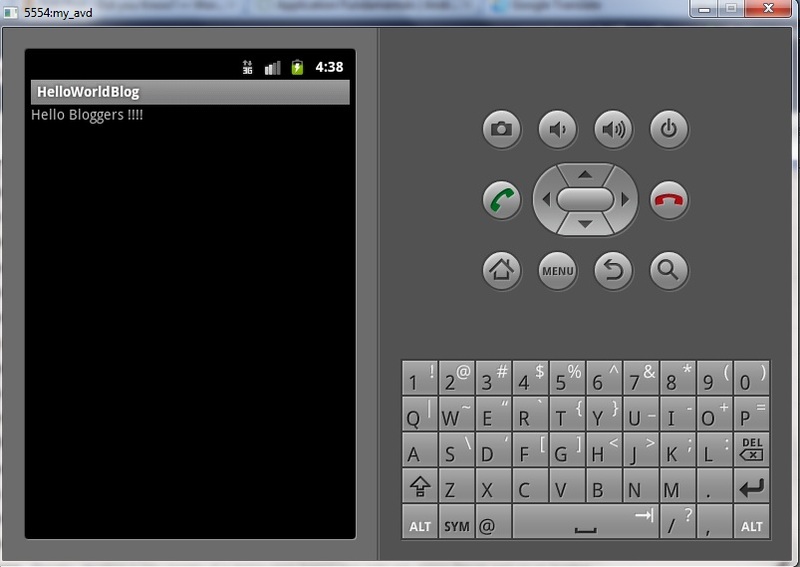 Ok. After you Configure the Android development environment is time to start. First, you have to name your project. We could start with a HelloWorld. Second, choose the Android API in the list Build Target. There, you will see many Android “versions” and choose any you want to start your project. I recommend you choose the same as you have chose when you configured your AVD. Then you have 4 fields in blank. The first one is the application Name. It has to have a name. HelloWolrd. The name, you will see in the Android menu. The name of your application. The Second one, the package. Your application have to be in a package. And the name of this one has to have at least two identifiers. E.G: android.helloworld or firstapp.android. It is just up to you what name it. The last, that you need to fill out is the Activity. The Android Application is composed by four components. 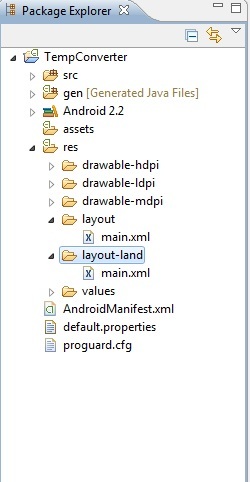 There components are defined by Android architecture. Activities, Services, Broadcast and Intent Receivers and Content Providers. This post I will talk about the Activities. In the future I will talk about the others. But if you want to read about them, just check this link. When you create an Android application, your application always have to has an activity. Even a “HelloWorld!” has one. Activities are that chunk of code running in time. For example, Screens; Each activity shows one screen to the user. If one Activity is not being used, or not actively running the operating system can kills it, so it can conserve more memory. So, the name of the activity is HelloWorldActivity . Ok. Now you just started an Android Project. You have your first application ready to run. Before you run it. Let’s take a look at what we have. In the src (the source) folder, we have the package that you name it as you wanted. I just named blog.helloworld . And bellow this directory we the gen folder. It is where you will find the R.java .That is all resources from res directory in Java. Then we can see the Android library. If you click on it, you will all jars that composes the android library that you have chose before during the project creation. As a resource, you could have any images, bitmaps, or whatever you need for your application. The layout tells android how dispose items, things on the screen when applications runs. You can check it out, and you will see a XML file. Values are outside the source. You can use them anytime. What is this? Values are constants, strings, etc..
At last, we have the manifest. The manifest a XML file too. This file defines all components in your application and tell Android about all components that exists in your application. So, it learn and know about all components in your application before build it. Now, go to the strings.xml file. And just edit the line that you see HelloWorld. This is going to be the output. You can see in the next line. The name of your application. Now the your application is going to run in the emulator, the AVD that you have created. The Java is going to start too. 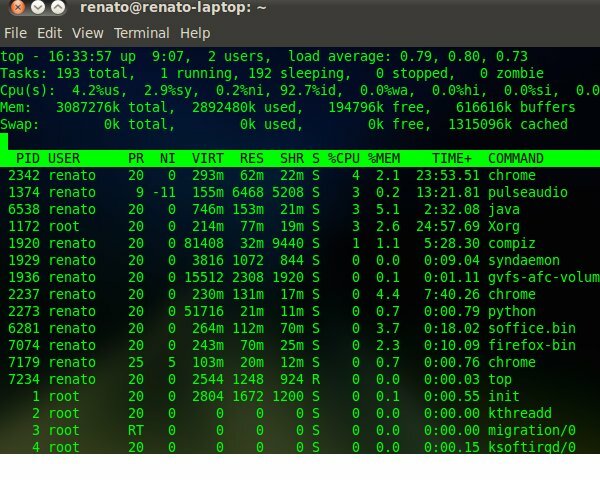 You will see that the emulator is like a virtual machine. So you will see a cellphone on your screen. Just go the menu and find your application and click on it. 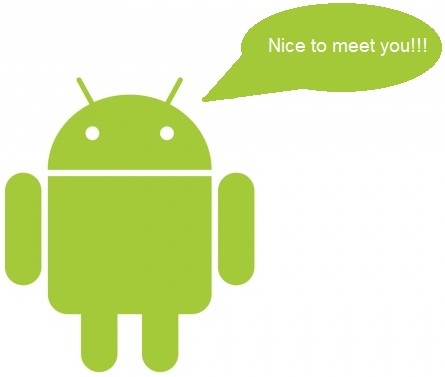 It will start to running and congrats, you made your first Android App!! I always wanted come to U.S., visiting, meeting new people, culture, language and here I am! I am not good with the words, but I`ll try to explain and write what I feel and happen. And I already felt this feeling, when I get my fist big trip in Brazil, from Sao Paulo to Porto Alegre. What I wanna to say is, I went to different places, meet different people,etc.. So the feeling to discovering a new place is here again, however I am discovering a new world, totally different, my mind is gowning up, expanding and new people, new places, new culture, mainly, is changing, I mean, evolving my thoughts, way to think and see the world. In the moment I think I get many feelings in different times and in the same time all together, because this is new, is good, is fantastic! I was not believing that I was,really, coming here! And in Brazil I just not faced what was happening, because I just realized all when I arrived at Bloomington-Normal. Even I have been in Atlanta, I could not believe that this could be true! Because sounds like an awesome thing! I could never been here if in the past I got chosen another things, but the choices that I had in my way brought me here. Sincerely, I don`t know what I hope, because everything here is better than I thought or imagined. The people and contact are being nice, the culture and another thing to look the things makes me to thing that it all works very well like jobs, studies, law, services (health, education, life, housing, etc). With my goals my plans walks side by side. First I am going to finish this semester I am expect to be the best student of class or one of those, because I ave to do my best, not only here, but everywhere every time! And my target it is to take awesome classes in the next semester, like android, Java mobile and Math. Doing this i hope to improve my skills in English`s language and to learn new things in I.T. or programing area. After all this, I think, I am going to Brazil, finish my College, get a good job where I like to do like programing or something like that. Stay working in Brazil while, and would like to return to U.S. and study again, but take a Master Degree or even, who knows, a PHD. Once in the college in Brazil, some friends and me tried to open a business, but in Brazil it is so hard and expensive do that and the idea just was kept in the mind! But get a pretty good job or open my own business is my main goal in the next near future. I was very upset today, at the moment. It seems any more windows viruses than a problem for gnome / ubuntu. hooooooowever, I’ll show what I tried to do and the procedures for configuring my network interface. Hope that helps someone, because I did not help much. only in the end I hace success. hoooooowever, to no avail ..
why have stopped working is still a mystery ..
I’m going to find out why .. but I hope it could be help…I almost lost a day trying to find out to solve it.. The difficult is…have more than 1 file to install…..
We, frequently see one file to install, but now we have two files. Here is the snapshot, step by step to install it. Then here we have the pkg..we are extracting it to some directory ( what you want). We can see 4 files. 2 is .pkg, so we need it. 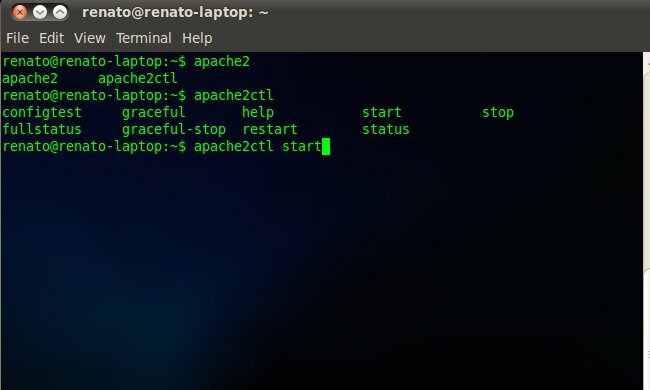 After you extracted you can open the terminal and go to the directory which you extrated the files. As we can see. we have 2 files. WE must “execute” first the VirtualBox.Kern…. You say “all”, to install all of it. 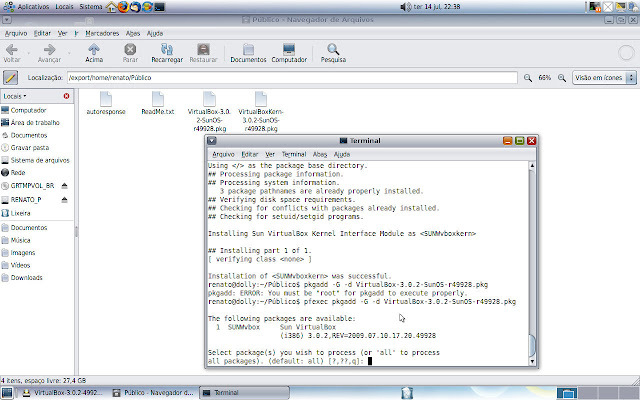 The first file is VirtualBox kernel interface package, you must install it first!! !